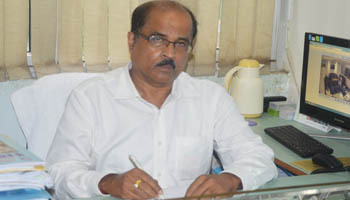 B K Mishra, Managing Director of Fishcopfed the apex national cooperative body of fishermen, is sore at not being short-listed for the interview of Chief Executive held last month at NCUI’s headquarters in Delhi. The result of the interview is likely to be published soon. Venting his extreme frustration, he wrote to Indian Cooperative “It is simply disgusting if you don’t get a call for an interview for the post of CE, NCUI after serving 28 years as an officer including 10 years as MD in a national level cooperative federation”. “What is this? If you are not recognized by your own co-operative fraternity who shall care for you?, Mishra complained. Speaking on the issue another contender Mohan Mishra NCCT Secretary said” I do not wish to talk to media on the issue but would certainly represent my case before President Chandra Pal Singh. The whole process was wound up at a lightning speed as I was in bed down with fever”, he added. The interview took place last month in which five candidates were screened for the top job in the cooperative sector. These candidates were short-listed after an exhaustive exercise, says a source. But there were complaints of manipulation at the short-listing stage as one of the prospective candidates B K Mishra, MD of Fishcopfed seem to suggest. Those interviewed included the In-charge CE N Satyanarayan, TRIFED DGM Mr Bhatnagar and two officials from BSNL services. One of the two BSNL officials Mr Shekhawat is presently working with the Cabinet Secretariat while the other Mr Ajay Shankar Singh is posted in Rajasthan.